Inside sales is a tough job. Sometimes your batteries need to be recharged with an infusion of fresh new selling strategies that work… strategies that have been tested and proven by a sales professional who has the chops and wants to share them with your team! This live, interactive online inside sales training course is intended for outbound phone sales reps who are struggling to make quota and need help reaching their goals – fast! Participants will learn a strategic sales process that takes the guesswork (and rejection) out of phone sales while getting them up to speed on goal setting and time management skills needed to succeed in today’s new sales world. If your business has from 1 to 1000 sales reps, Salesbuzz has you covered! The best sales teams know the power of intentional practice. Practice in Lessonly offers realistic scenarios like video response, live demos, email practice and more. With streamlined feedback from managers, trainers, and peers, employees can easily hone their skills, gain confidence, and close more deals. 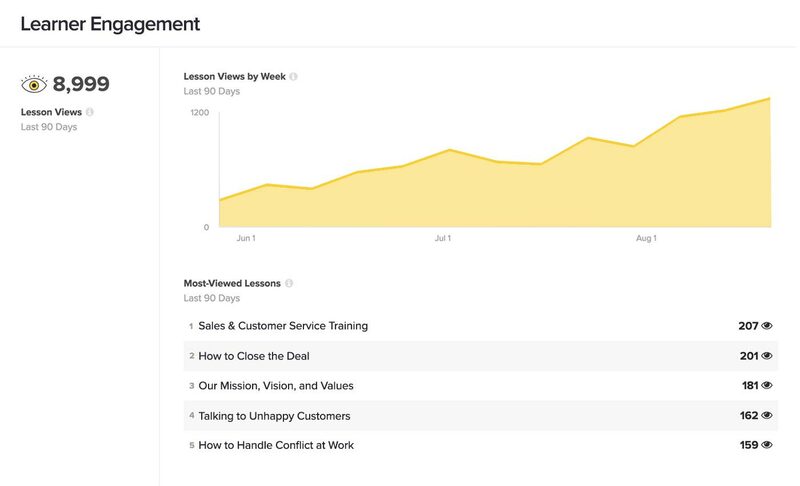 Trainers, managers, and sales reps create sales enablement content in Lessonly in minutes. With a few clicks, assign engaging lessons to individual reps, specific teams, or the whole company. And learners can access and complete beautiful training on any device, any time. With Mindflash, you can quickly and easily use your existing materials to create self-paced Web training courses for as little as $1 per trainee. Meanwhile, traditional in-person training is expensive in both time and money. Hours of productivity are lost while your sales reps are traveling or waiting around for meetings to start. Plane tickets and lodging accommodations are pricey and often an inefficient use of precious funds. Implementing online training does not necessarily mean in-person training needs to be completely eliminated. In fact, combining online training with traditional classroom instruction often provides an effective blended solution.Trainers can reach trainees who could not otherwise attend in-person training and trainees can attend a training session at a time that works with their schedules.Blended learning improves employee productivity, satisfaction and retention. Mindflash online training allows trainers to include quizzes and surveys to make sure employees actually learn. Built-in reporting capabilities allow trainers to easily track attendance and identify sales reps that need extra help. Meanwhile, trainee surveys help you use employee feedback to improve upon future trainings. Provide your sales team with all the training they need to sell more, and even sell faster! Docebo’s state-of-the-art LMS will allow you to efficiently deliver, manage, and measure sales training, as well as enable your sales team to share the information they need to crush their quota. (e.g., sales best practices, competitor info, the buyer journey, win/loss stories, etc.). Allego’s modern sales learning and coaching platform delivers game-changing innovations so that reps have the skills and timely knowledge to make the most of each selling situation. Allego elevates sales performance by combining training, practice, coaching and knowledge sharing into one app, streamlined for the rapid pace of sales. Traditional sales training rarely changes rep behavior and performance. Allego reinvents it with cutting-edge technology and brain science. Content is personalized for individual sellers as well as their selling situations, and mastered through reinforcement, on-the-job coaching, and peer collaboration. Instead of traditional onboarding and sales training marathons–which are rapidly outdated and quickly forgotten– sales enablement and training teams use Allego to deliver the fresh, bite-sized learning that reps need to close deals in today’s dynamic business environment.